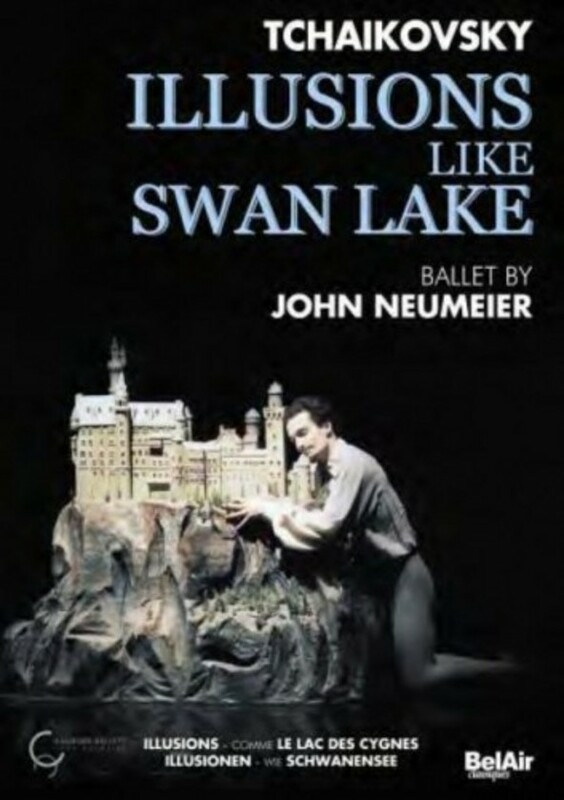 Created in 1976 by John Neumeier for the Hamburg Ballet, 'Illusions like Swan Lake' transposes the magic of Petipa and Ivanov ballet in the castles of Ludwig II of Bavaria. This sensitive king, obsessed by the swan symbol, drowned himself in the lake of Berg Castle. Following this background, the American choreographer created relevant links between Prince Siegfried from the ballet, Louis II and Tchaikovsky. As a tormented man, the composer was also fleeing reality. and the ballet describes withdrawal that relentlessly leads to madness. Soloist Jir� Buben�cek stars as the King with Anna Polikarpova as Odette, Elizabeth Loscavio as Natalia and the Corps de Ballet of the Hamburg Ballet. Unavailable on video for many years, this edition was filmed by John Neumeier. It contains interviews and a personal off-commentary of the ballet by the choreographer.